This summer we have been all about grilled meat, chicken or fish with simple salads and grilled veggies. 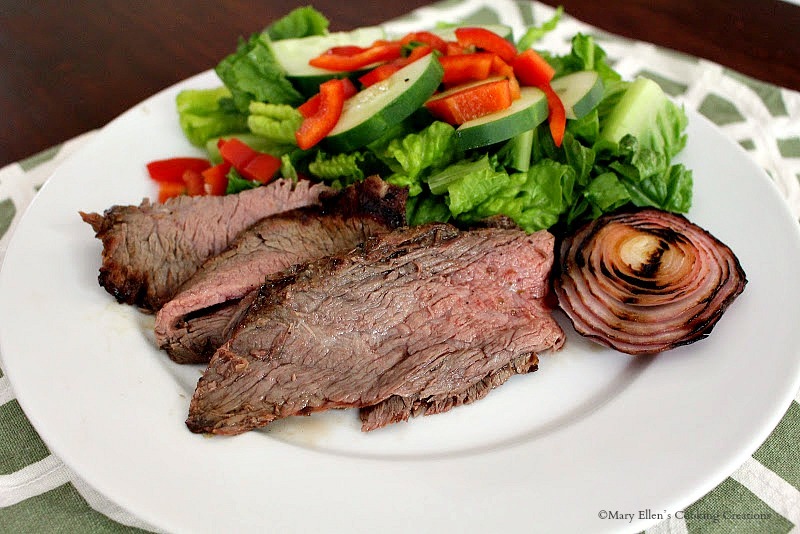 One of my husband's favorites is grilled flank steak. We have had it several times over the past few months, but the one he made last week was by FAR the best! You HAVE to try this marinade! He created one of his amazing marinades using mostly tequila and lime. He let it marinate overnight for a total of 20 hours and man did that steak take on some amazing bright and zesty flavors! He takes great pride in his grill marks. Halfway through cooking on one side, he will turn the meat 90 degrees to get those beautifully crossed grill marks. And since we both like our steak cooked differently - I prefer medium well (I know, I know - I'm working on that!) 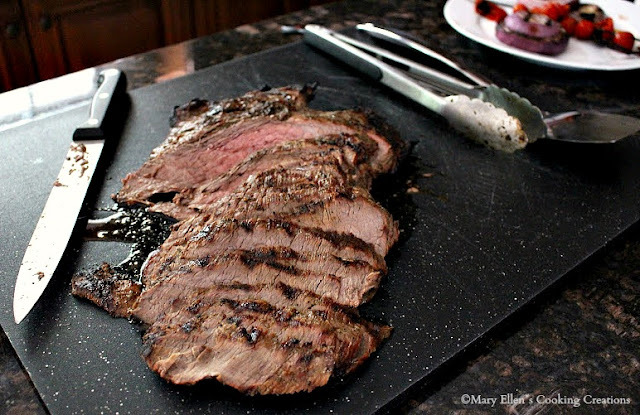 whereas he prefers medium - this flank steak was perfect because the edges cooked a touch more for me, so we were both happy. This was a huge piece of steak - look at the shape on this thing! This marinade is so simple - you have to try it. I will file this recipe under to many categories - summer cookout, entertaining/dinner party, easy weeknight meal, summer meal and makes great leftovers. 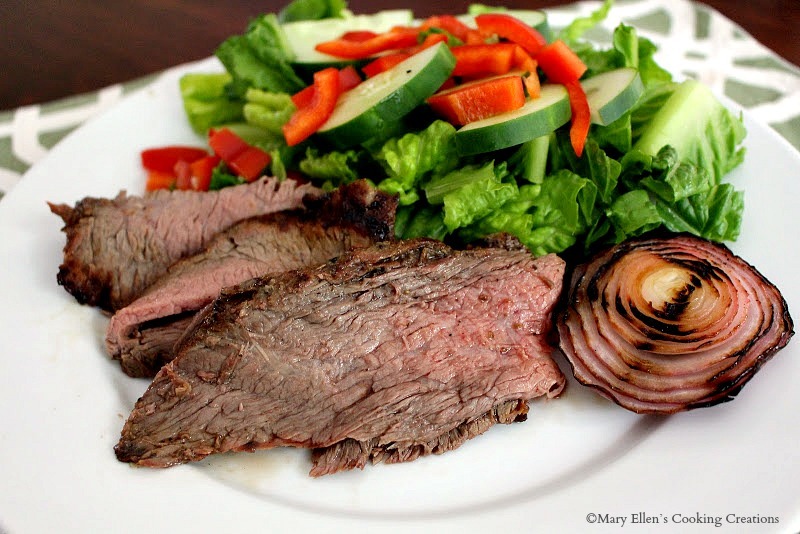 On day 2, put some of the sliced steak over a salad for lunch, or make tacos, quesadillas, or fajitas. Mix all of the marinade ingredients. Place flank steak in a gallon Ziploc bag or shallow dish. Pour marinade over the steak and marinate in the fridge for at least 8 hours, up to 24 hours. 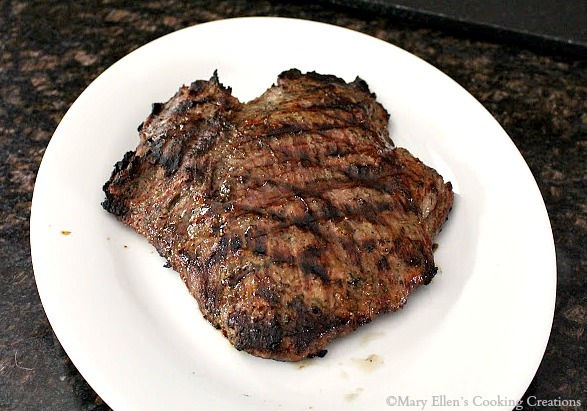 Remove steak from the marinade and place on a hot grill. 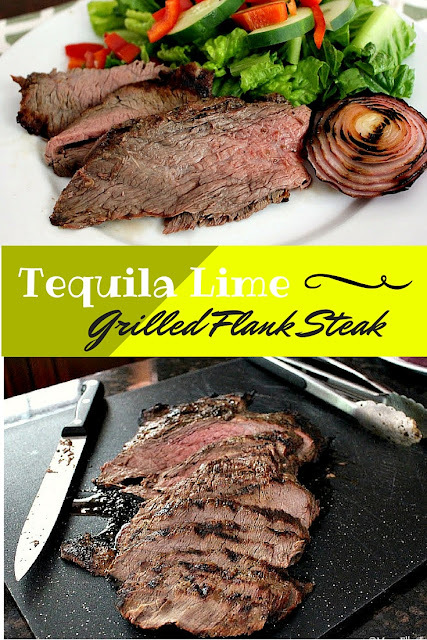 Be careful - the tequila in the marinade will make your grill flare up a bit!